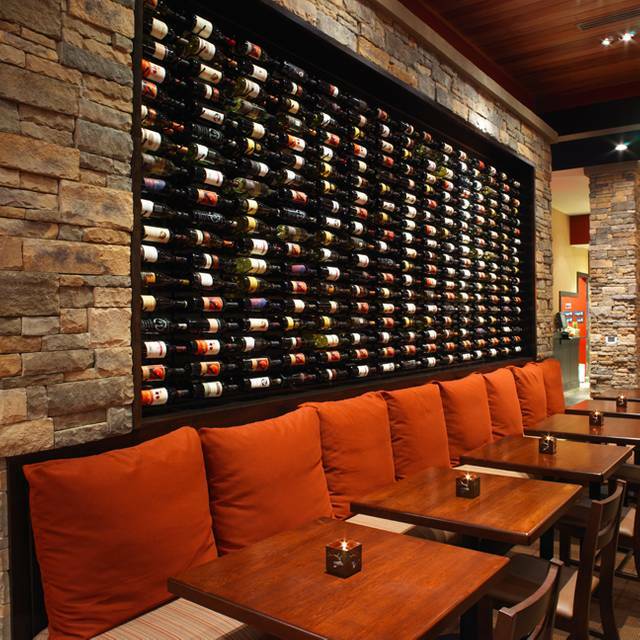 Firebirds Wood Fired Grill is located off of Robious Road at the Shoppes at Belvedere. 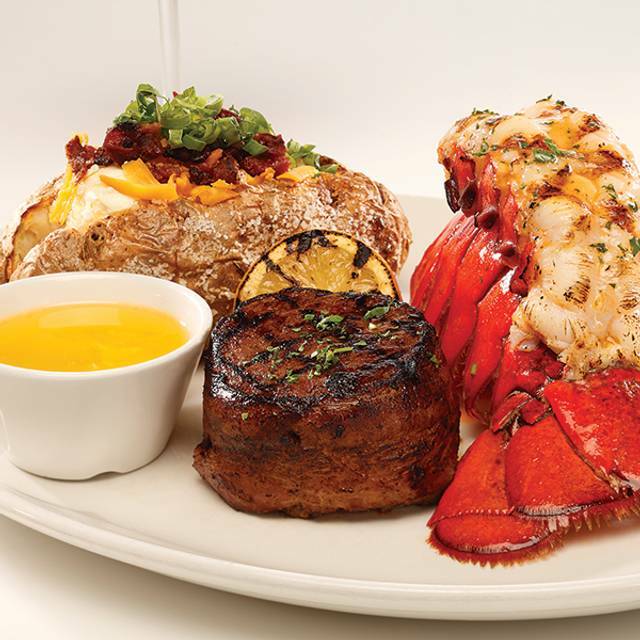 We offer authentic wood-fired steaks, seafood, specialty cocktails and select wines. 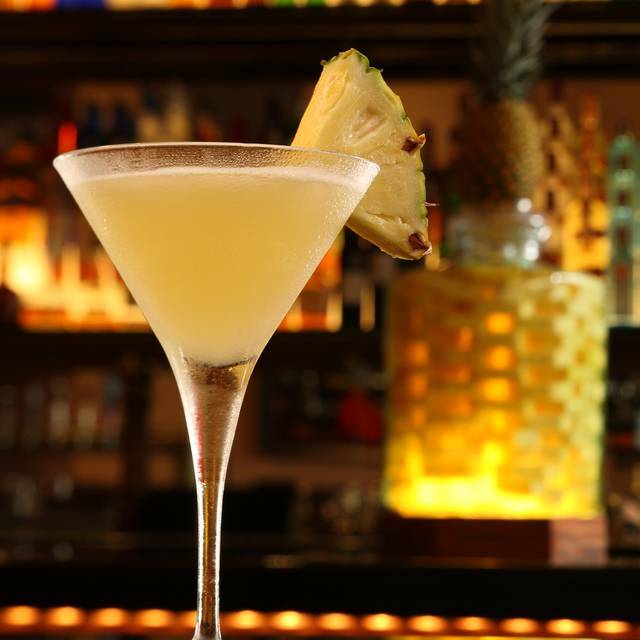 Join us for Happy Hour Monday - Friday from 4-7PM and Saturday - Sunday 1PM - 5PM at the FIREBAR® or on the patio. 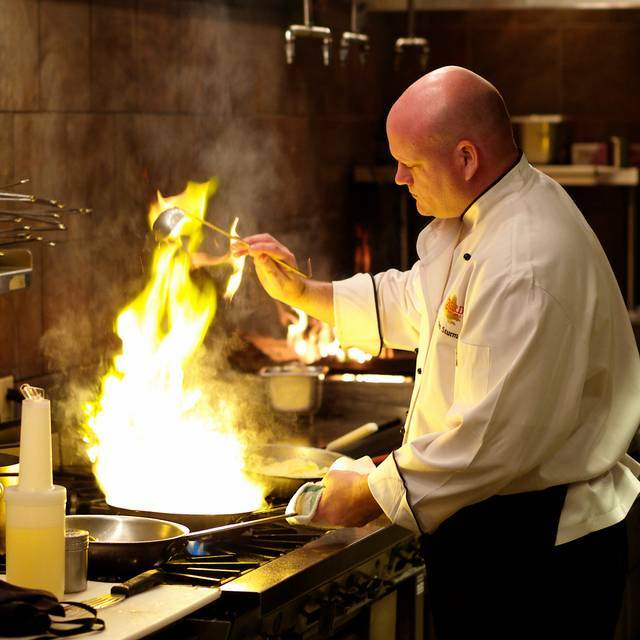 We offer top-notch service and upscale dining at a modest price. Our food was fine, not outstanding considering how many really delicious meals I've had in Richmond, but certainly adequate. It did take quite a while to arrive, and the restaurant did not appear to be crowded. When the entrees were served, I was offered another glass of wine, which I ordered. The next time we saw our waiter we were about 3/4 finished, and I asked about the wine. He didn't appear to know anything about, but went off to get it. He passed our table 2 more times before the wine arrived. The really noteworthy thing was that no empty glass or plate was ever removed from our table. The waiter brought the check, took our credit card, returned, thanked us and never removed our empty plates. With so many other options in town, I doubt we'll ever go back. Great food and service. Our go to place.. Excellent, as always! Wife's birthday dinner. Nice big booth. My coconut shrimp (actually an app) and the huge baked potato made a tasty and very filling meal for me. Wife had a big steak (as she was eating her leftovers at home last night she said, "I think I'm gonna get three meals out of this steak.") and tater tots (yes, she loves their tater tots) and loved her meal. Waitress, Katina, was the best. They even treated the birthday girl to a very cool desert...little creme brulee squares that were very good. 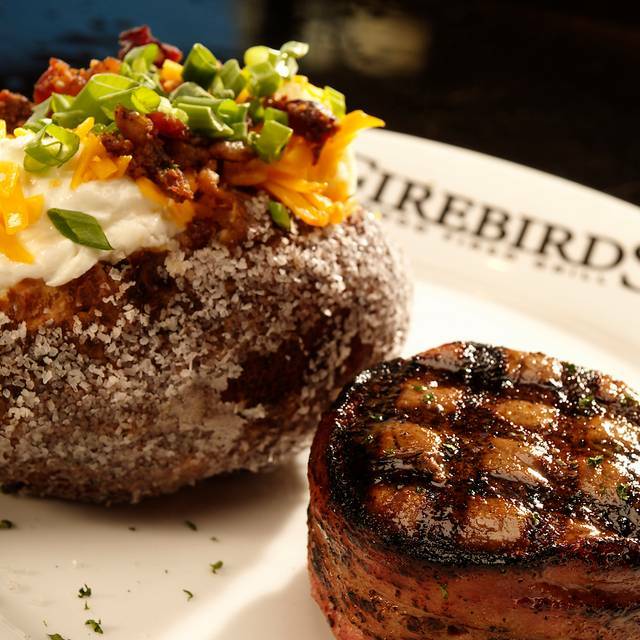 The consistently excellent food and service keep Firebirds on the top of our list. After a TERRIBLE experience at Firebirds at Short Pump last night, I am very pleased to say that the Southside Firebirds more than made up for it. We typically eat at the Belvedere location (Southside) but we were already over in Short Pump at dinner time so we decided to give it a try. They were not aware of our experience last night so I cannot say that they were treating us differently than usual. Great food. Great atmosphere. Great value. Great service. Brought my family of four after a day of soccer games, my 15 and 17 year old boys walked out stuffed which is hard to do. Our waiter Eric was the best. WE are glad he was a part of our meal! Everything was great! The waiter was awesome and so was the food! We ordered steaks it was dry and not as good as we have had in the past . Waiter messed up drinks twice but was nice . Very dirty floors . Good food, great service Red was attentive to our large party and energetic. Was pleasantly surprised with quality of food for a chain restaurant. I celebrated my 31st birthday here and I had a good time. I ordered four cocktails, philly cheesesteak egg rolls, and a chili rubbed delmonico steak with broccoli. Everything was good but it was very expensive even going at happy hour time. The service was wonderful. The food was delicious- however we had a dreadful time with the service. And they had no more baked potatoes at 7:45 on a Saturday night??? Bizarre!!! They kept bringing us a drink we did not order/ then copped a horrendous attitude when we told them for the third time that we did not order the drink. We spent a lot of $ for food- wish the service would have matched the food. We will be ordering takeout from now on. This was an excellent restaurant and I would recommend this to all my friends because the price was low and the service was outstanding. Not sure what the issue was here...also did not realize this was a chain my fault. On a Saturday night this place should be completely full and it was barely half busy. Newer spot, very large space not sure what this used to be out in Bon Air. The food was horrible, the chicken was dry and tasteless, the salmon was burned and dry, kitchen forgot one of my sides...the server was nice enough but failed to check in and kind of deserted us for at least 20+ minutes at one point during the dinner, empty water glasses, appetizer left on the table until we left. The manager came over and apologized and took care of the food which was nice we didn't really ask for a manager the server insisted... we paid for our wine. I think this place is OK for probably bar food, wings, burgers maybe but definitely not an actual meal at the prices they were charging, I would go somewhere else spending almost $100+ on two meals, an app, and 2 glasses of wine there is much better in Richmond. What a shame Bon Air always seems to be lacking in finer dining. Our waiter, Nick, was outstanding and such fun to talk to. He took very good care of everyone at our table, even the special requests. We were celebrating two birthdays the service was great. Larry was our waiter and he did an oustanding job servicing everyone needs. There was no wait we were able to be seated immediatly upon arrival. Firebirds experience was great as usual. 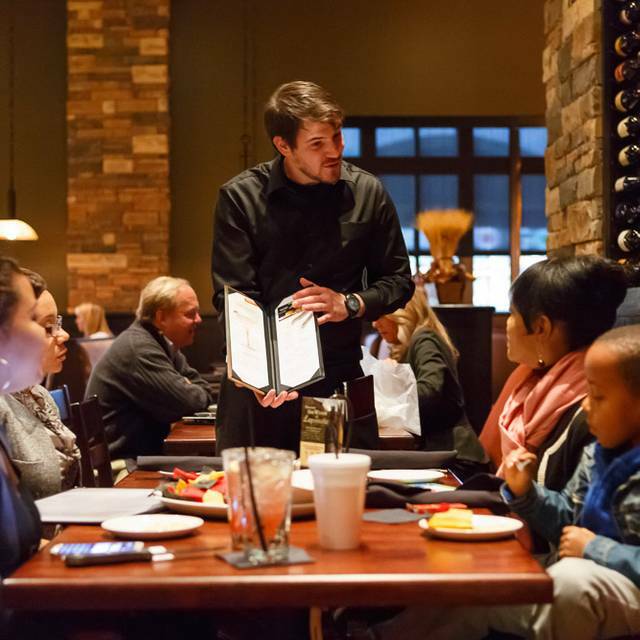 Food excellent; service also excellent ( you have a real winner in Arman, we request him every time we go to Firebirds and we are there just about every week.) All-in-all we are great fans of your fine restaurant. Food was fantastic and very reasonably priced. Portions were generous and dessert was mouthwatering. Can’t wait to go back! I’ve always enjoyed everything I’ve ordered, but I was disappointed in the prime rib. First time I’ve order it and it was very tough. Cooked properly but the meat was like chewing a piece of beef jerky. I’ll definitely go back, but will not order the prime rib again. We were immediately seated when we arrived. Our server, Katina, came over less than a minute after we were seated. Excellent service by her during our visit! We ordered the red sangrias... note to bartender; please remember to stir drinks before giving them to the server! My wife had the Cilantro Chicken, she said it was well-flavored! I had the Caesar salad with salmon; the salmon was a bit too salty but the salad overall was very good. The desserts were excellent! 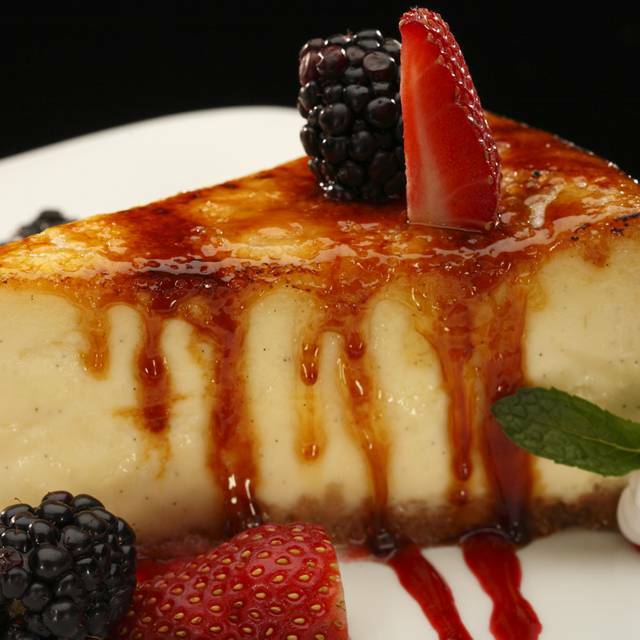 (Creme Brulee Cheesecake & Key Lime Pie) Overall, a nice visit! Great job! The food was yummy, our server was great and we had a lot of fun. A good evening out! This visit was very average at best. Steak was just okay but certainly not worth the price. Service left something to be desired as our server was distracted trying to help a large group. We felt like after thoughts. We went at 4:30 which was a time that there were several servers standing in the back talking. This was my wife's birthday which we put in the reservation which was never acknowledged like other restaurants do. We eat out a fair amount of time and wanted to give this place another try. It average at best and likely not a place we will return. 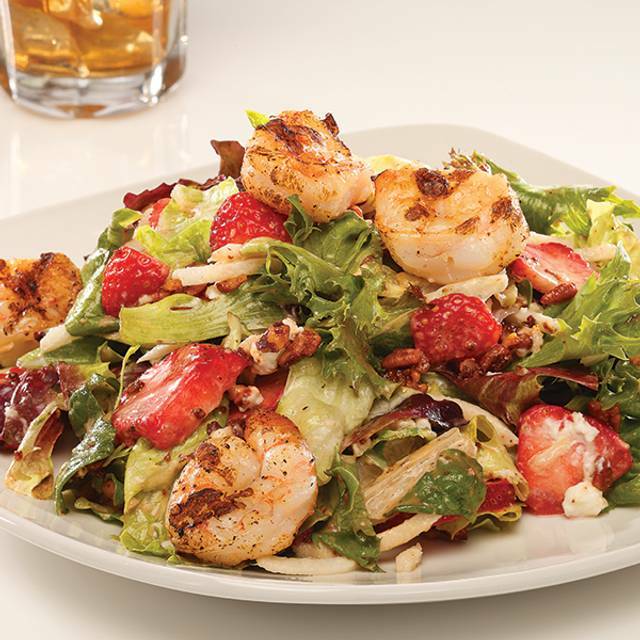 Certainly not for a special occasion as they are priced like places that provide much better service and food quality. always a good time, great service and good food. If you have a reservation, it's even better. We celebrated my Mother's Birthday on a relatively quiet Saturday afternoon. We had a group of 20 [2 tables of 10], so we had two waiters/waitresses. One of the waiters seemed to be more attentive and on the ball than the other. One table was served water and bread while the other table was not, not to mention drinks orders were mixed up, and it just seemed like a lack of care. Thankfully, the good waiter picked up the slack and my mother had an enjoyable time. Our waiter "Red" couldn't have done a better job. He was great. Great experience,Our waiter was excellent,And the manager came out to see if we were enjoying our food,Which was very important. Excellent, as always! The Belvedere restaurant is so much better than the Short Pump restaurant. 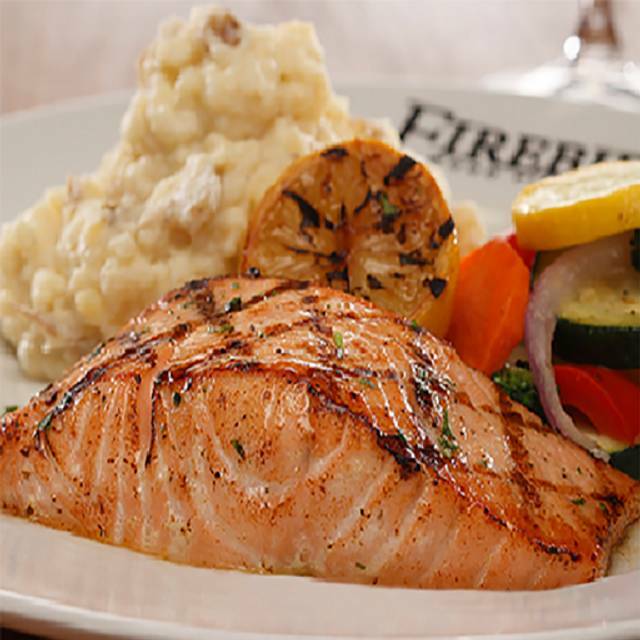 Firebirds is one our favorite restaurant in the Richmond area. When we go there we expect to have a good meal and good drinks. We have yet to be disappointed, for either lunch or dinner. This past Valentine Day we had lunch at Firebirds and we were delighted. I had the American Kobe beef meatloaf, which I finished the next day. My wife had the Spinach Salad which she added the wood grilled tenderloin, which she loved. Took much longer than should have for the food, and the check. It was a late lunch and not many people. service was just too slow. Wait was very nice but just too slow. Great place for dinner or lunch. Food and service always outstanding. Always outstanding food and excellent service. We had a party of 11 and were well taken care of. Excellent service, however my sirloin was very fatty with a streak of gristle in it. My associate’s steak special was very small and his side of mac n’ cheese was frankly bad. And you could hear someone sitting across the table. I love this spot, and I come every year for my Birthday.